Dwarves love gambling even more than they love gold. 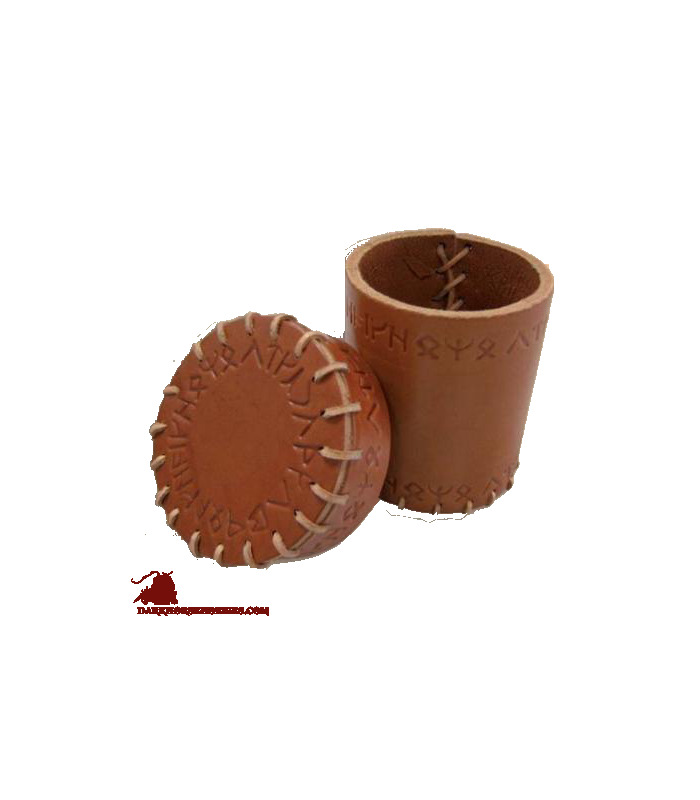 This durable leather cup was hand-crafted by their famous artisans with one purpose in mind – keep the precious gambling dice safe. 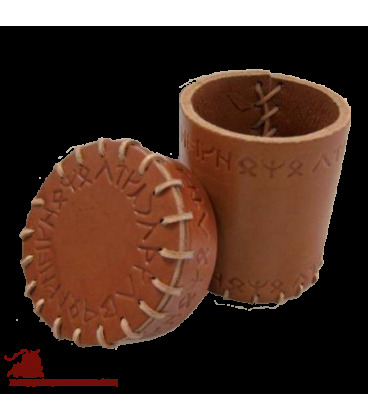 This particular cup has been decorated with an ancient dwarven tale etched on its surface. It tells the story of an unfortunate rogue, who tried to trick a dwarf, and instead met the blade of his axe.